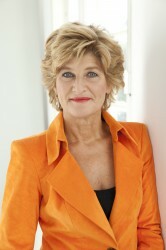 Corinne Heijn is the founder of UnitedSucces, the worldwide network of credible and established women entrepreneurs. They are united by their drive and desire to improve their own business success while making a positive impact. UnitedSucces has created a trusted interactive environment for its members to safely interact, support, stimulate and share network and expertise. A worldwide and intercultural environment where thresholds do not exist.